When it comes to categorise wastes and rubbish, there are many categories to choose from. The more commonly used and known kinds are organic wastes, re-usable wastes, hazardous wastes, and recyclable wastes. It might be overwhelming to categorise everything you see at first, but being aware of what kind of rubbish you are dealing with has its purpose. Managing rubbish is not an easy task. The collection, transport, treatment, and disposal can vary depending on the category of the waste you’re trying to organise. That is the reason why you should be smart when it comes to waste management. The best way to start managing rubbish then, is to know what the categories are and how you deal with them. In this article, we are going to focus on one kind in particular: e-wastes. 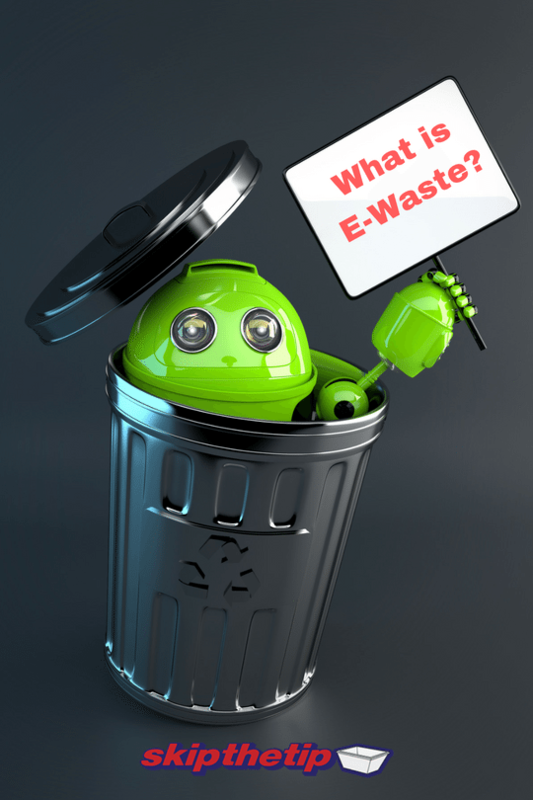 E-wastes, more widely recognised as electronic wastes, are appliances, devices, or other electronic apparatus that are broken, old, outdated, or obsolete. These are the kind of technologies that are not in use any longer, and are due for processing and disposal. These can range from phones, television sets, gaming consoles, to even microwave ovens. There is a wide accumulation of e-wastes because of the continuous change and development in the field of science and technology. It seems that every year, newer and better versions of past gadgets and electronics are being brought out, causing the older versions to be cast aside and left untouched. In order to make way for newer technologies, people use different rubbish removal tools and methods in order to make the waste management process easier and more efficient. How should you manage e-wastes? The process of waste removal and management when it comes to e-wastes is more intricate and complicated than others. As this rubbish is electronic, within it are dangerous materials that cannot just be taken to any landfills. Depending on its manufacturing, e-wastes can have mercury, arsenic, or even cadmium. These elements cannot be disposed simply, and mixing them with other materials can prove to be harmful. There are heaps of ways to manage e-wastes. The best way to deal with e-wastes it to lessen your e-waste output. The easiest approach to do it is by being smart with maintaining your electronics. Do not dispose of them immediately when your gadgets are damaged. As much as possible, try to repair them in order for them to have further use. If you think that you no longer need particular electronics, try to look for individuals or organisations that need them, and donate these gadgets responsibly. By doing so, instead of disposing of your e-waste, you redirect their utility to the people who need them the most. Finally, if you are of the opinion that your e-wastes can no longer be useful to anyone, do not just cast them aside and get rid of them immediately. Organise your e-wastes and hand them over to recycling companies and institutions who are knowledgeable in dealing with these particular wastes. This way, you ensure that you do not harm communities or the environment by not disposing of your rubbish responsibly. Skip the Tip is a waste-removal company that operates in Newcastle, Lake Macquarie, Port Stephens, Hunter Valley, and Central Coast. For 16 years, we have been consistent with providing quality service to our customers. We have experience with dealing with e-wastes. Depending on the size and quantity of your wastes, our company has a wide range of skip bins and trucks that could readily accommodate any request that you may have. We can ensure that the disposal and management of your rubbish are in good hands, and we do it at a competitive rate. Be responsible with managing e-wastes. Contact Skip the Tip if you have any questions or enquiries. You can reach us at 0414 375 375, or you can go to our website and fill out our forms.